When settlers in Central Wisconsin cleared the land of hardwood forests, the loss of shade warmed the some of region’s stream temperatures beyond what cold-loving species like brook trout could take. Recently published results of a data collection and modeling effort there shows managers how much stream habitat would still be suitable for trout if trees still lined the banks. The link between shade from streamside trees and water temperatures is well established, said Ben Cross, study author and doctoral student in Washington State University’s School of the Environment. So is the link between stream temperatures and brook trout distribution. Cross and his colleagues wanted to take the link a step farther and calculate just how much trees helped cool streams. 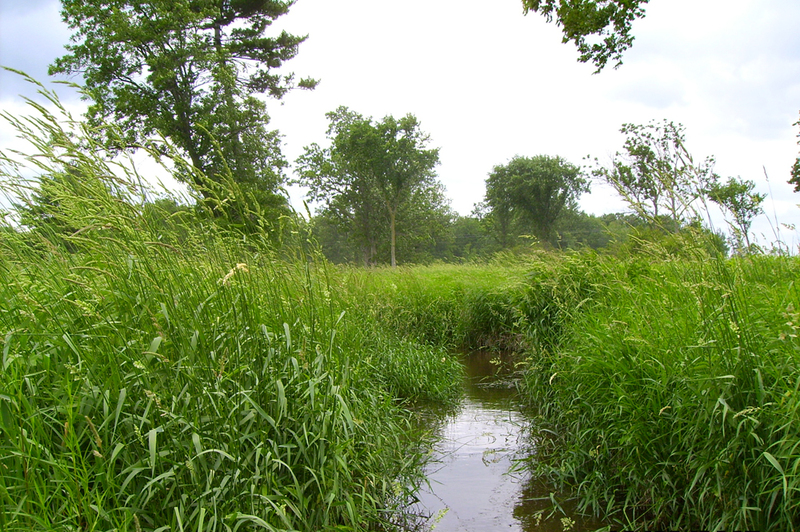 They also sought to model how temperatures in Central Wisconsin streams would respond to hypothetical attempts to increase shade. The researchers worked in 12 streams that supported brook trout reproduction in their upper reaches but not in the lower reaches. They instrumented each stream with a series of data loggers that measured water temperatures every 30 minutes from the beginning of June to the end of August. They focused on the summer months to make sure to capture each stream segment’s maximum weekly and daily average temperatures, which give an indication of whether a segment was suitable for brook trout. 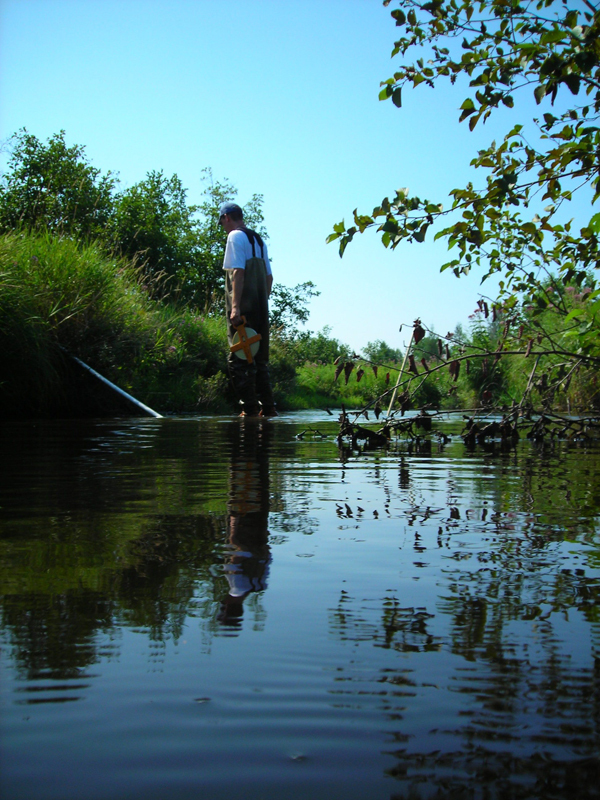 Streams with a maximum weekly average temperature of 22.3 degrees Celsius or higher are thought to be too warm for the species, Cross said. The limit for maximum daily average temperature is 25 degrees. The researchers also collected morphological data at several points, including channel width and depth, bank angles and shade from vegetation. They also classified the vegetation as either grass, shrubs, trees or transitional. Though fieldwork in Central Wisconsin is a relatively safe endeavor, some study streams ran through pastures populated with uncooperative cows. Once the data were in and analyzed, the researchers consistently found that, on average, stream temperatures in segments with grass-lined banks warmed 1.19 degrees Celsius per kilometer. Temperatures actually decreased in segments shaded by trees. The cooling effect was likely the result of groundwater seeping into the stream, but the shade from trees helped the temperature stay down. The study also modeled how stream temperatures might change under different amounts of shade from trees. The model predicted that more shade from trees could cool water temperatures and increase brook trout habitat on as many of five of the study streams. The shade would keep those streams from warming past the 22.3-degree threshold that makes a stream unsuitable for the fish. The study shows that managing riparian vegetation for more tree cover is an important tool for agencies targeting stream temperatures to protect brook trout habitat, Cross said. Especially when managers are concerned that higher air temperatures brought on by climate change could disrupt coldwater habitats. The research is published online by the North American Journal of Fisheries Management.